OK, I'm drooling. I like to season the meat with a rub based on the seasoning I would put in the gravy. 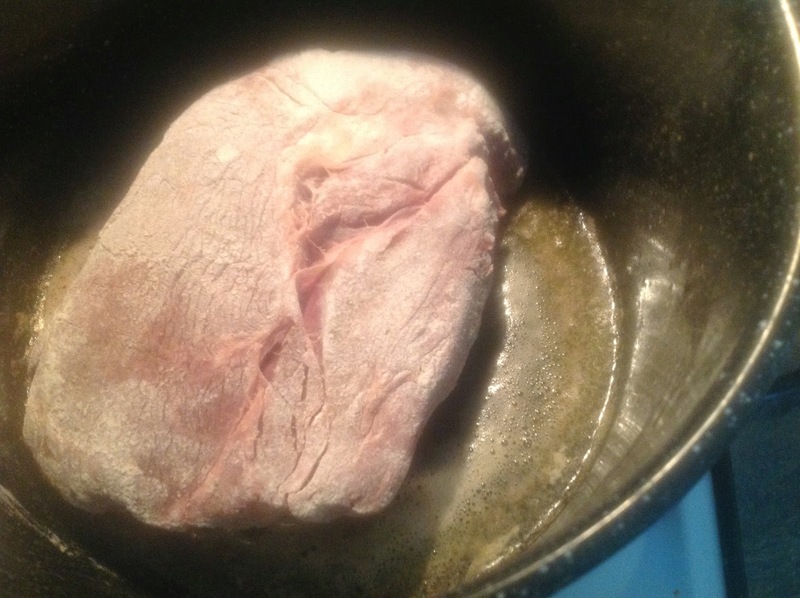 It is carried into the pan by the fat that drains from the meat. 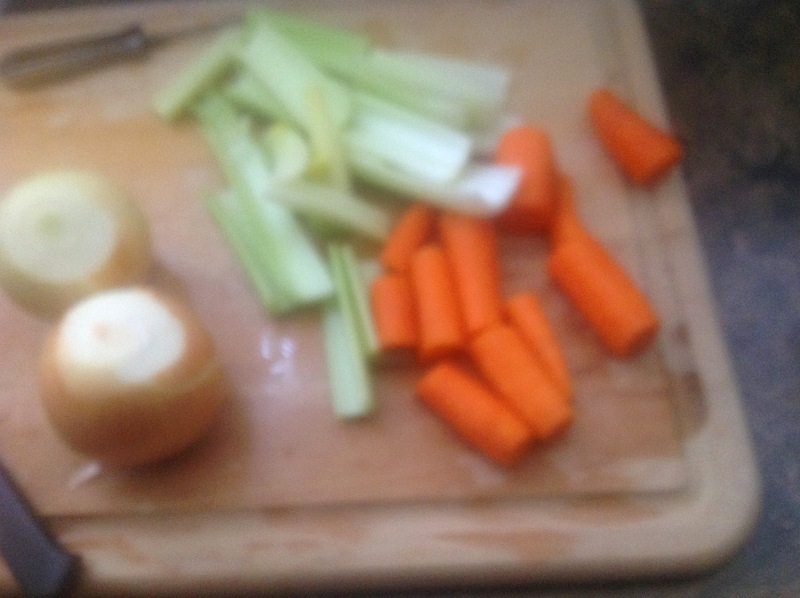 Also, I have run the cooked celery and carrots through a blender rather than add flour. An interesting twist. That looks good. There are a lot of variations to that meal. 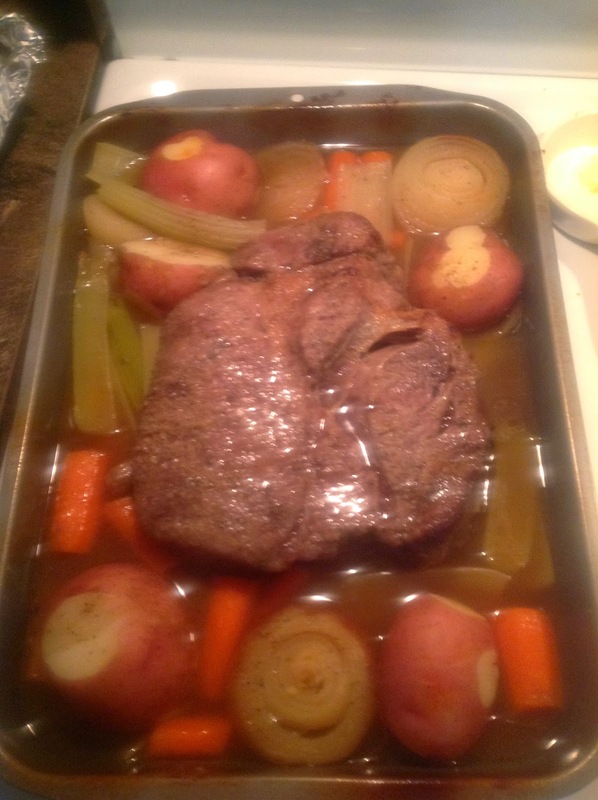 I also recall having it where the gravy was formed with the vegetables run through a blender, along with burgundy the meat was cooked in. Other times I had it similar to yours, though with cloves added. One should reward oneself for the timely completion of taxes. Half a packet of onion soup mixed with a little water (as in a few dribbles from the faucet), then dumped over everything. We also add cabbage, which I prefer over onions. My mother thought it important that her sons knew how to do things like cooking, cleaning, sewing and laundry. As far as cooking, a few basic skills can make a big difference. This recipe, for example, is really very simple. Jennifer, that attitude of 'feminists' seems pretty funny when one considers the other 'important' task dim in value if there is nothing to eat. Heck, I imagine whatever else was being done that one of the first things they traded it for was something to eat. Only a fool would think that his mother was less valuable because she "only" fed and clothed him. Serious question: prophets and disciples performed many healing and even resurrection miracles as did Christ. Did any of them feed a throng as He did with the fishes and loaves? If not, what does it say about the relative value of those acts? The domestic arts are really devalued, especially by women with a feminist philosphy. But look at what dysfunctional lives prominent feminists have lead...Betty Friedan, just to name one. You really are developing as a cook--so good to see! 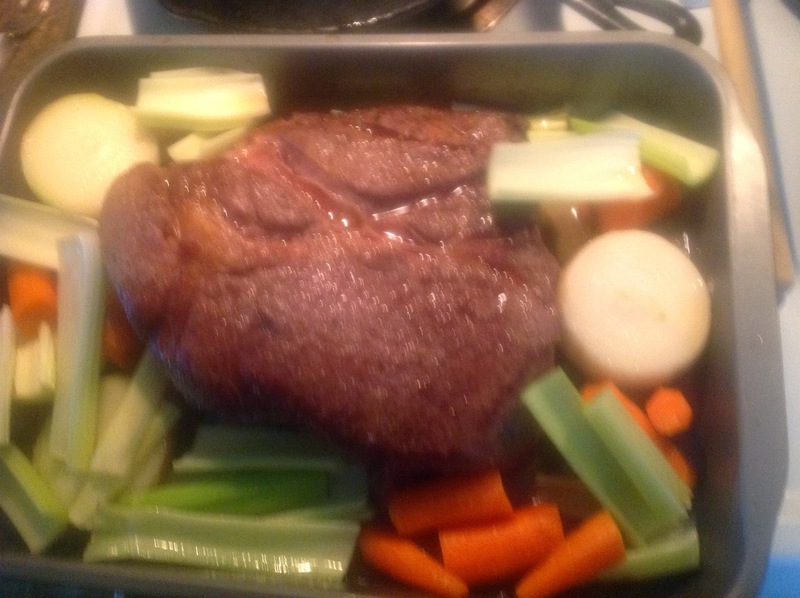 I always salt and pepper the beef before browning in a Dutch oven pot, but do not flour the roast. 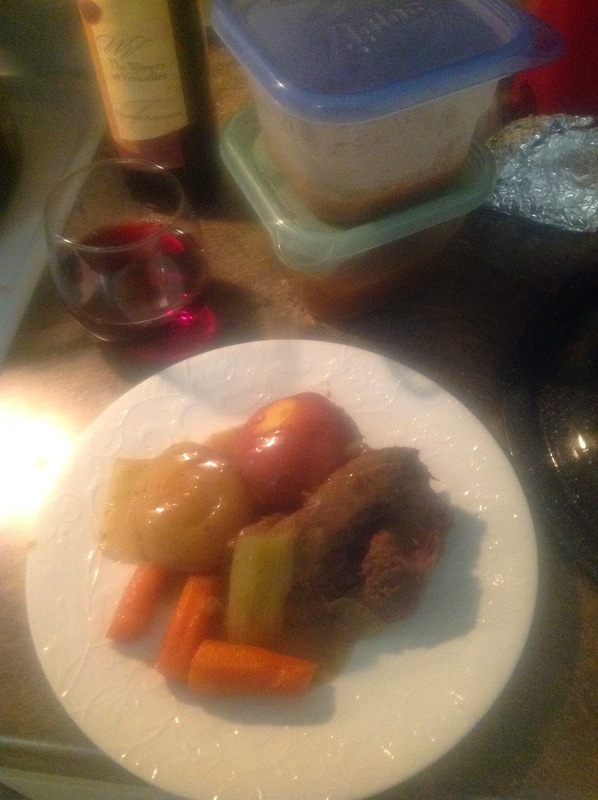 Then I braise the pot roast in the same pot stovetop for a couple of hours with the onions, then add carrots and potatoes for the last half hour of braising as my Mom did. I also usually throw some whole tipped green beans on top of the other veggies just to have something green. 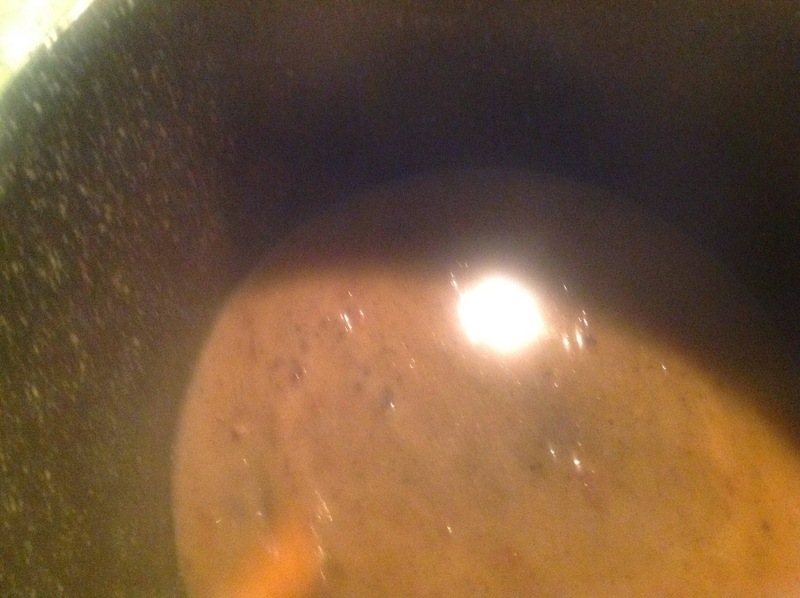 At the end of cook time, I remove all but the braising liquid, then make gravy in the same Dutch oven pot. This was the Sunday dinner I grew up with and we still love. 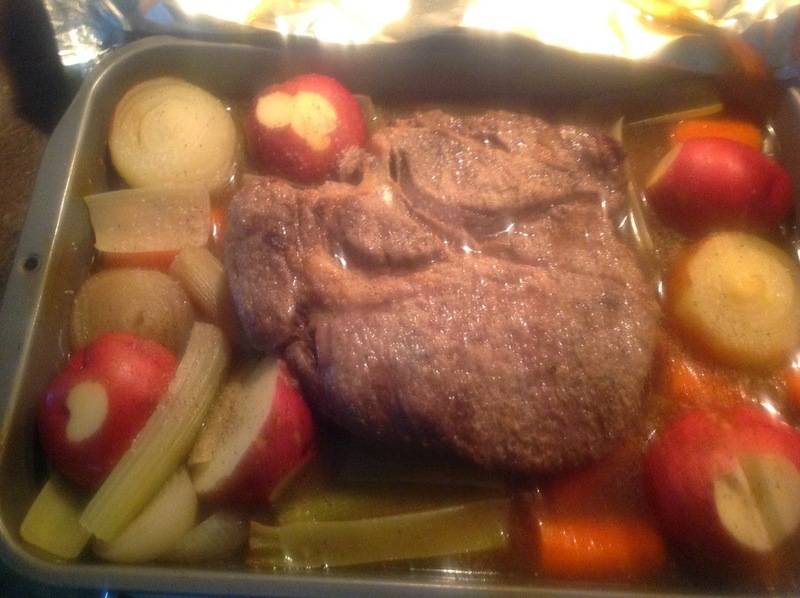 Great first pot roast, Father! My first foray into cooking as a newlwed was to prepare my husband's favorite - goetta - for him. Since I'm originally from a small Pensylvania town near Pittsburgh, I had never tasted it. I had also never seen it being cooked. When my spouse awoke, I removed the pan lid with a flourish, revealing a huge cadaverous-looking lump surrounded by water. "What IS it?" he asked. I had boiled his goetta. ~ Rosemary A.